Fighting for Our Right-of-Way: A Duval-based order advocating for the rights of cyclists. If these mean streets are wearing you down, join us. United WE make a difference. 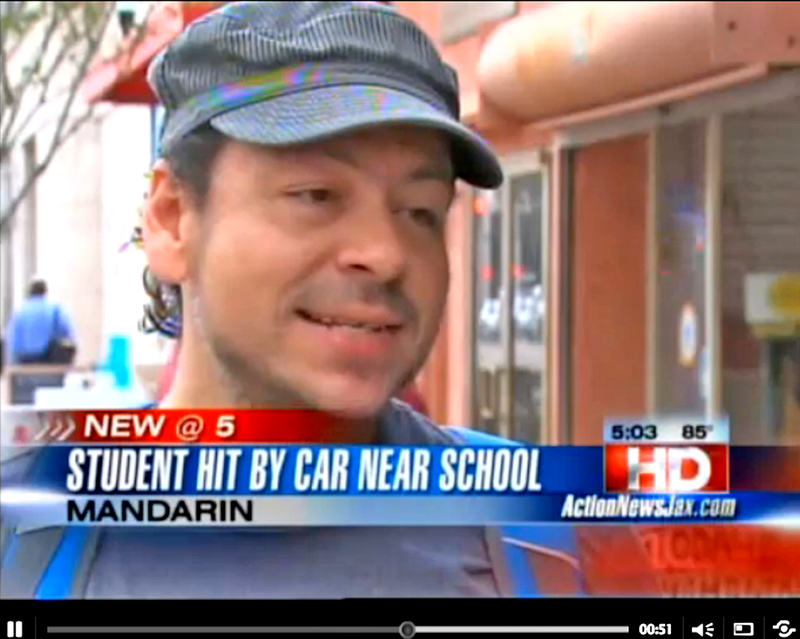 The JBC is famous!… Well, kinda. 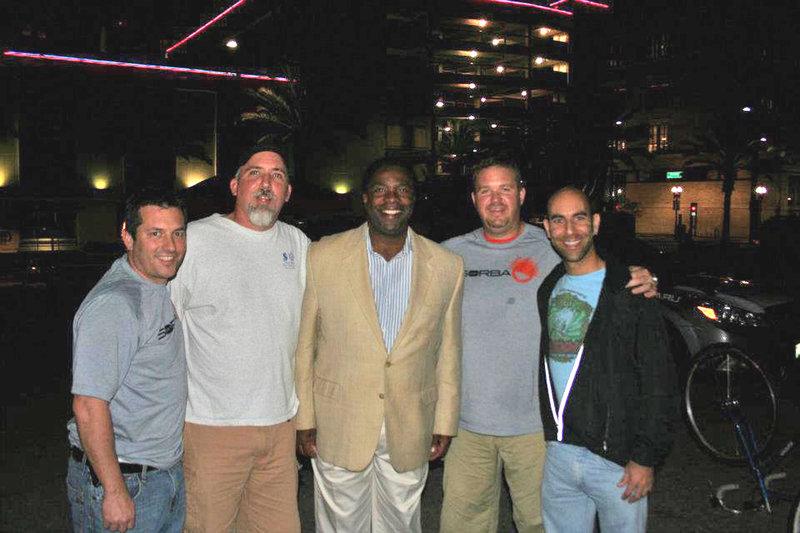 The JBC represents with Action News, Folio Weekly, and shakes hands with the Mayor! 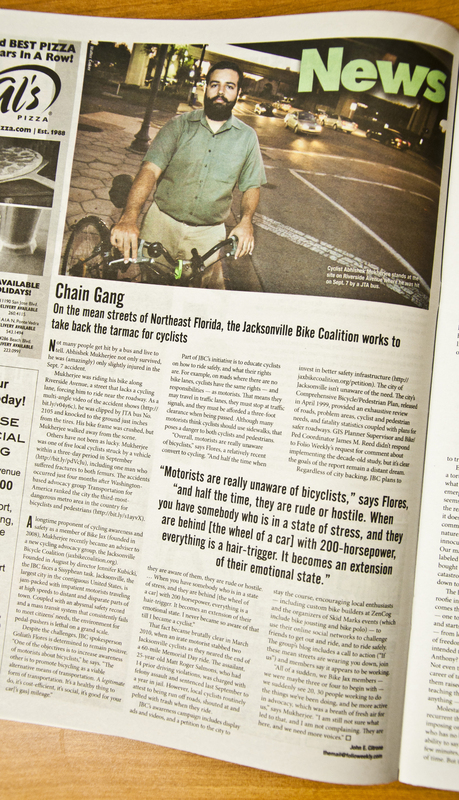 The Jacksonville Bicycle Coalition strikes again here in local news. A huge thank you to writer, John Citrone, for taking the time to represent the JBC in one of Jacksonville’s most favored pop-culture newspapers, the Folio Weekly. In the November 22nd, 2011 issue, you can read the wise words of both Abhishek Mukherjee, our Chief Advisor, and Goliath Flores, our Media Spokesperson. 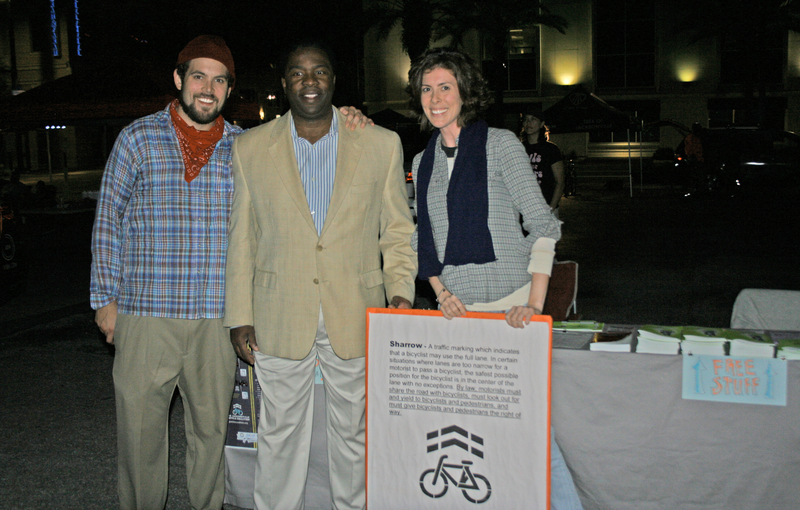 Mayor Brown pays the bike community a visit at SORBA’s screening of “Pedal Driven” at Burrito Gallery, November 19th, 2011. We were all too excited to speak with him about Bike Month in May and the prospects of presenting a custom bike (built by Garf Cooper of Zen Cog) to the city. 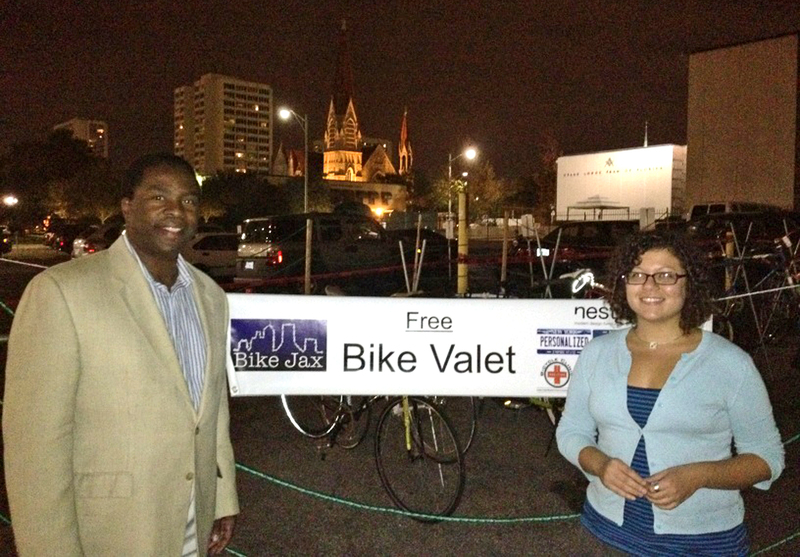 The Mayor takes time to visit the JBC booth and the bike valet, with Bike Jax’s Matt Uhrig and Koula Redmond. I certainly hope so, Mr. Mayor. We can’t wait! This is only the beginning, folks. Stay tuned! ← Even Robots Can Ride Fixed Gear.